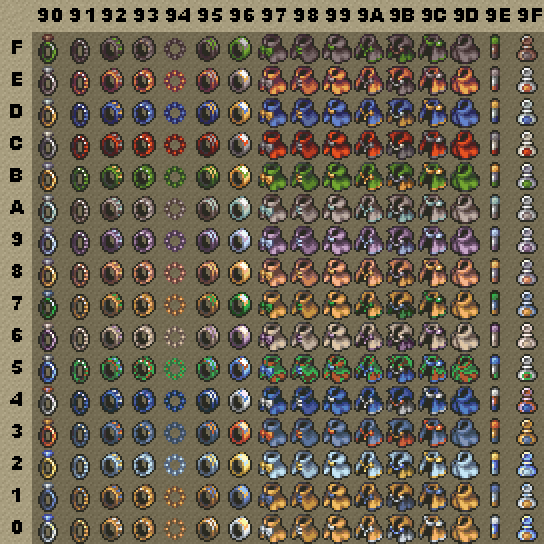 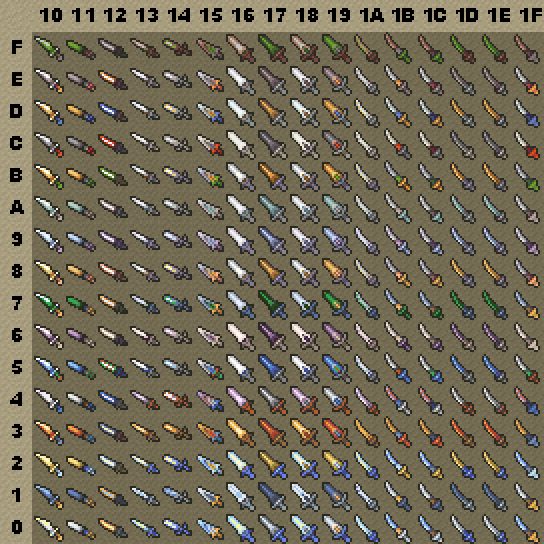 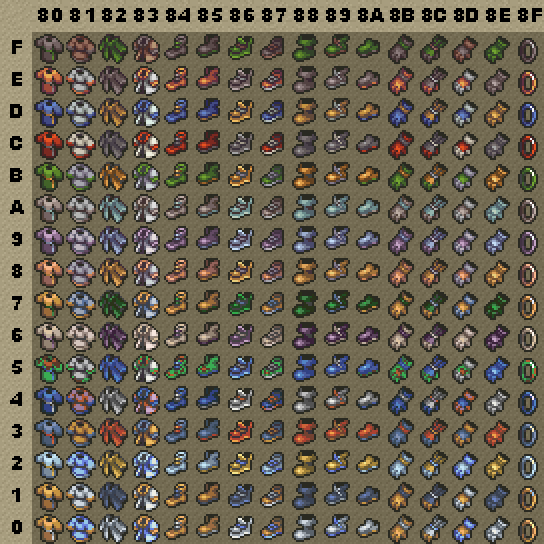 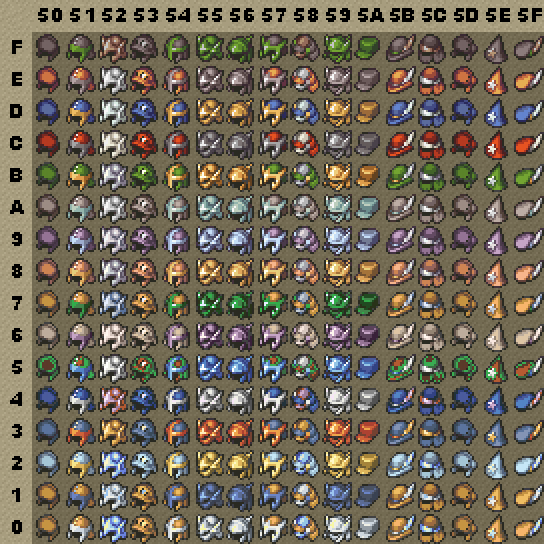 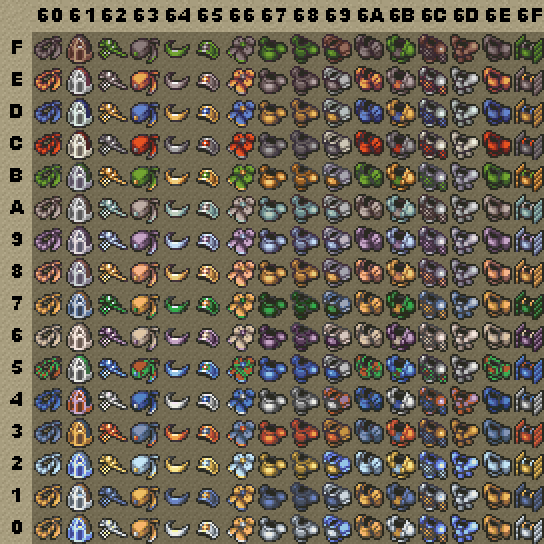 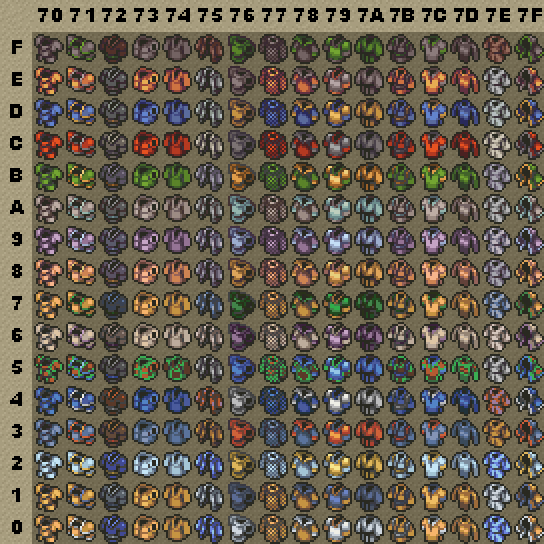 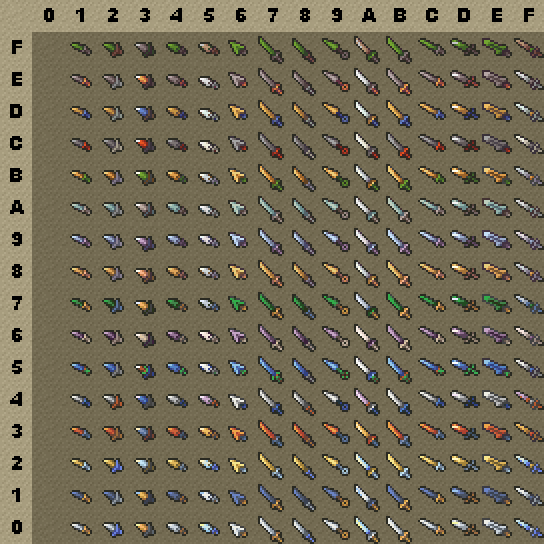 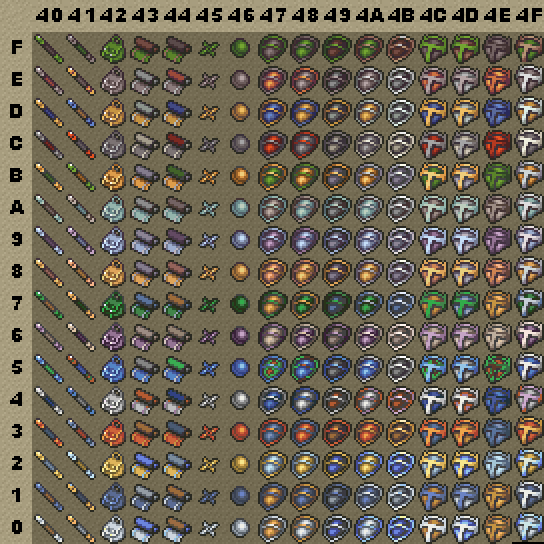 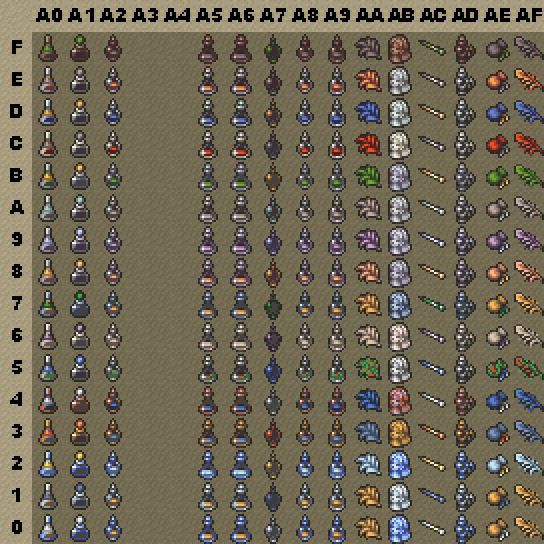 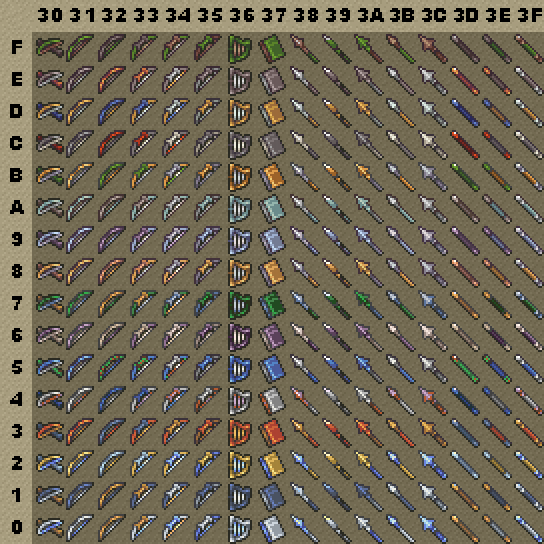 This page is used as a reference for unmodified item graphics using the 16 original item palettes from the game. 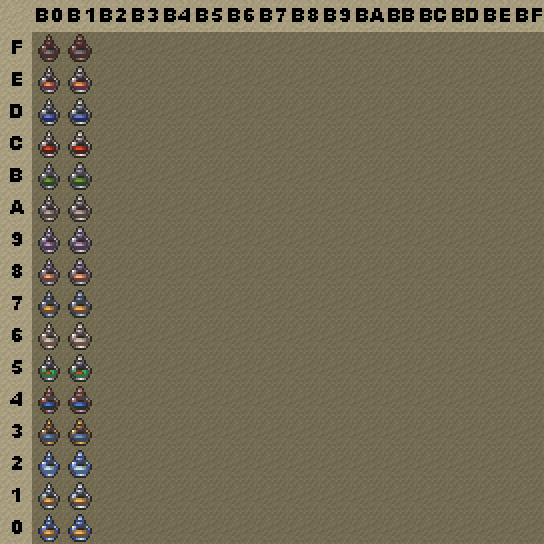 The row number is the palette number while the column is the graphic ID. 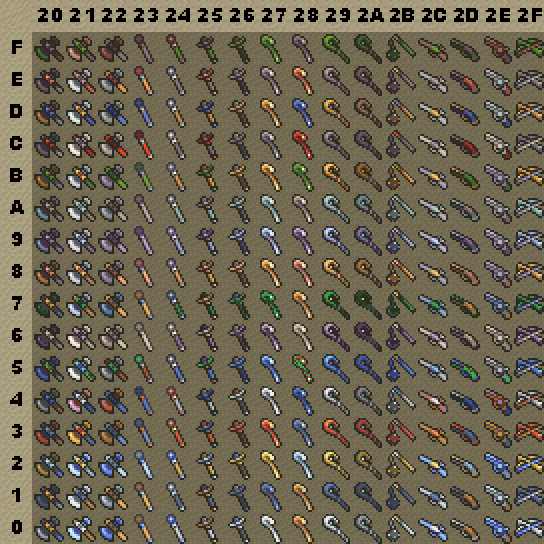 Credits to Nevarie for ripping.